Lazy Gramophone | Journal - Andrew Walter's Five Things. Andrew Walter is an illustrator/wannabe printmaker based in Wood Green and Southwark. 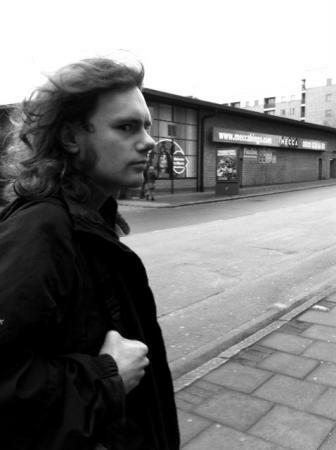 His life is lived mostly in a soporific bubble of literature, heavy metal, horror films and role-playing games, a bubble which is occasionally punctured by the flinty reality of creating artwork and crushingly monotonous day jobs wherein the public ritually castigate him for money. He wishes people would stop telling him his work would 'look really good on a Wacom tablet, yeah?' and believes not all motion is progress. He is trying to incorporate more colour into his work. 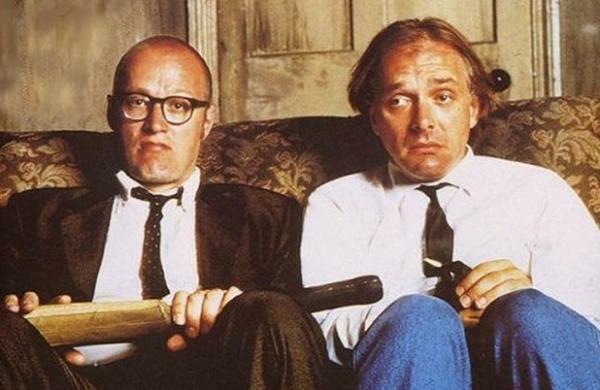 Bottom (BBC TV series 1991-1995): To even start to get all po-faced about this is a waste of your time. Though I will say that if you can't get inspired by these two lovable wretches stabbing each other in the balls with umbrellas and slamming each others heads in the fridge, then you might have a different idea of a good time to me. Bottom is important because it shows what employing consistency of character can do - it's something I haven't had the guts to try much, but hope to one day. 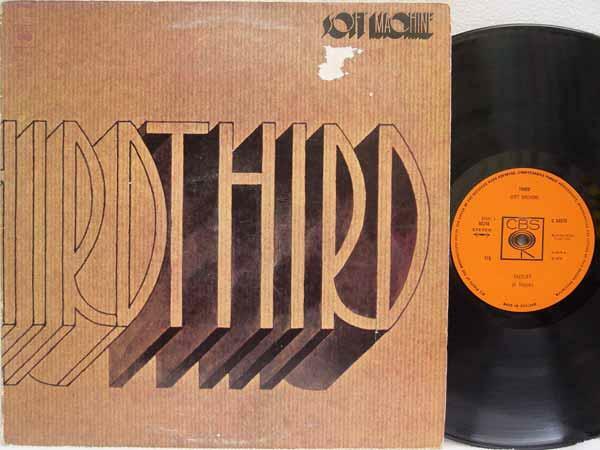 Soft Machine-Third (1970 album): I love this bubbling, murky, song-per-side double LP prog/jazz rock album because quite apart from the amazing music, it shows an interesting take on collaboration. Each 20 minute long freakout is written by one of the core members, and by some accounts not all was rosy within the band in the sessions leading up to its 1970 release, but to my mind at least hangs together. Is it because of the session brass players? The foggy production overlaying everything? Whatever it is, I can't imagine it existing without any of the component parts, so it must be a successful collaboration, right? 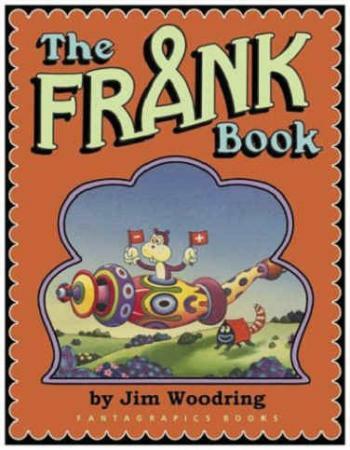 Jim Woodring-The Frank Book (comics compiled 2003): It's silent, black-and-white, and the adventures of the titular gopher/squirrel/beaverman-thing work with their own internal logic that is addictive once you get into the groove. It takes a supreme level of confidence in art to be as true to a vision as this. I see Woodring's work, but especially Frank, as proof you can work without patronising or pandering to your audience at all; but still make them laugh, horrify them, and just generally be candid. No need to compromise! Carcass-Symphonies of Sickness (1989 album): If you've got enough conviction in your idea, it's going to shine through, in every aspect. If you want to write a death metal album about medical ailments and the pumping inconsistencies of the human body, why not go so far as to give each guitar solo a disease inspired title? Why not make the coverart a collage of sepsis, decay and photographs of cadavers? This queasy attention to detail showed me that even if you're portraying something absolutely revolting and chaotic, it pays to be meticulous. 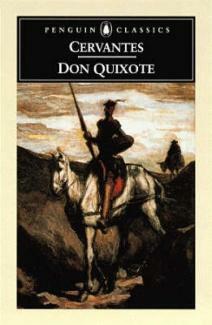 Miguel de Cervantes-Don Quixote (book published 1605/1615): So good that it makes you wonder why you even bother; so human it makes you feel you can do it all. On one level it's a fresh, hilarious comedy about one man's obsession. On another, it's a tragedy about...everything? I can't sum it up in a few sentences, but the reason I found it inspiring is simply that it made things matter, and to feel that way from a book published 400 years ago, I take as a sign that maybe a truly human race does still exist. Tags for this post: Lazy Gramophone, Time, Andrew Walter, Five Things, Bottom.